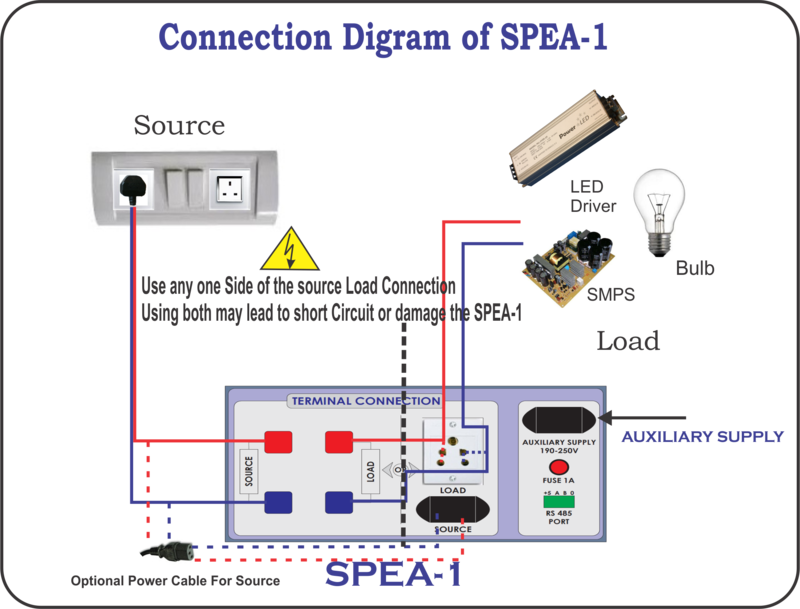 We have taken SPEA-1 which is manufactured by Embuilt Technolgies for testing of LED Drivers/SMPS/Single Phase AC devices with harmonics. AC Volt, AC- Amps, AC Watt, PF, Frequnecy, Voltage THD, Amps THD. Voltage and Current Harmonics upto 55th Level. Advanced parameter such as Crest Factor, Form Factor, Peak , Average and RMS of Voltage and Current. SD Card Support for Reporting and Data Logging. For more details visit www.embuilt.com. You can also use others power analyzer such as YokogawaWT310 . To start testing first we specify the testing parameters Limits and enter in the software provided with SPEA-1. (Optional) Connect Software with SPEA-1 to insert the testing model limits. This is one time requirement. Once the model limits are saved in SPEA-1, it will not remove on system off. It will store in SPEA-1 permanent memory. It can be replaced by another using software. Insert Micro SD Card in its slot. All production reports on write button click will save here.